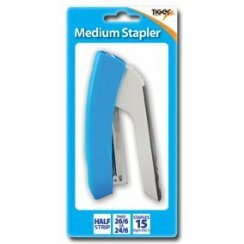 Lightweight, general purpose Half Strip office stapler. Plastic top and base. Takes standard 26/6 staples.